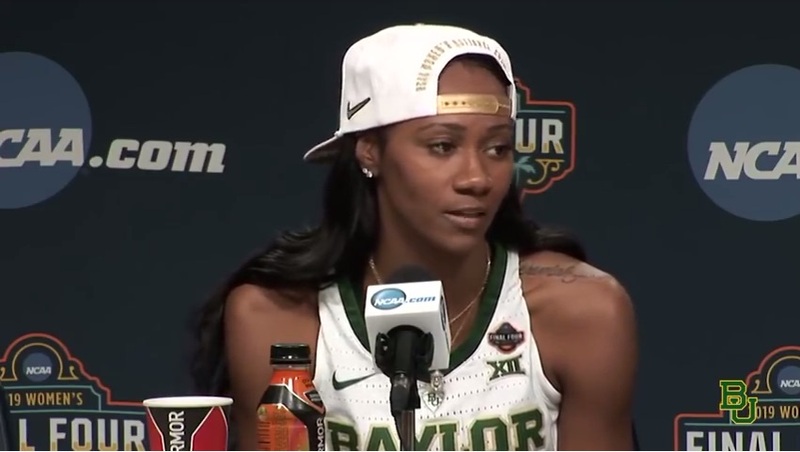 Sunday night’s women’s game between Baylor and Notre Dame was very close. 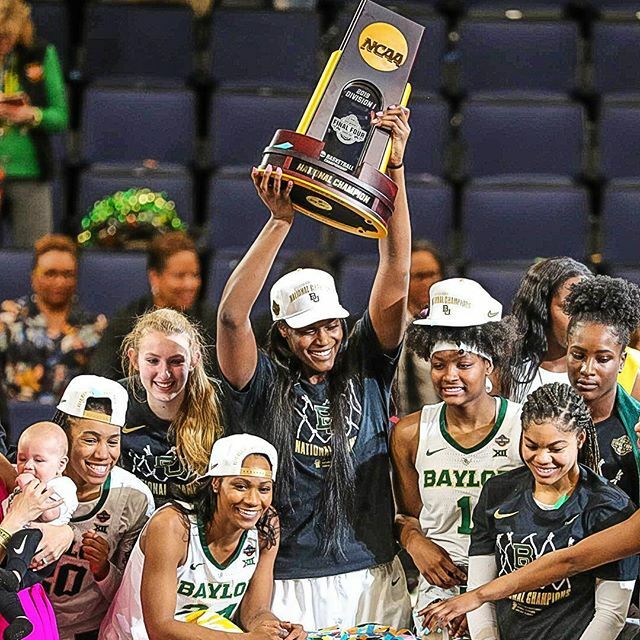 In the end, Baylor won by a point, 82-81, after Notre Dame’s Arike Ogunbowale missed a free throw. Baylor won, with a final score of 82-81. The last time Baylor won the NCAA was in their 2012 game, also against Notre Dame. But early on, the game was not close at all. Baylor easily took the lead and held onto it for most of the game. By half time, Baylor was ahead of Notre Dame, 43-31. Baylor was still ahead by 12 near the end of the third-quarter when their star forward, Lauren Cox, left the game with a badly injured knee. 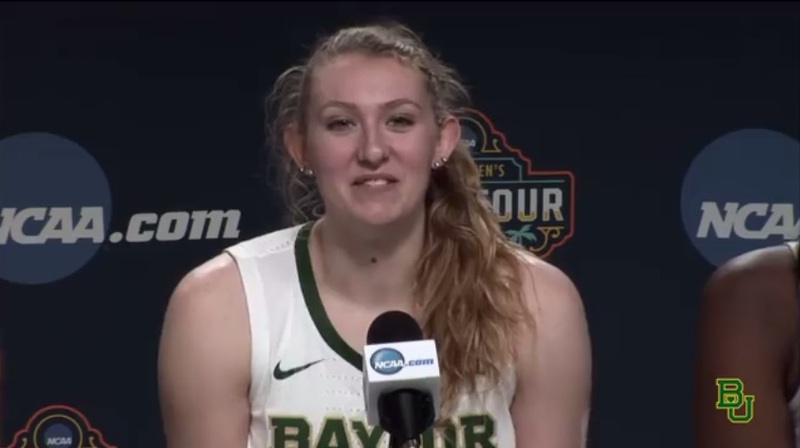 Baylor’s star forward, Lauren Cox, left the game with a badly injured knee near the end of the third-quarter. After that, Notre Dame was able to come back and tie the game. After that, Notre Dame was able to come back and tie the game. For the first time, it looked like Notre Dame, last year’s champions, might win again. And they might have, if it wasn’t for Chloe Jackson. Jackson, who averages about 11 points per game, scored 26 on Sunday, including several key goals near the end. With 3.9 seconds left to play, the score was tied 80-80. Jackson was able to get to the basket and put Baylor up by two points. Chloe Jackson scored 26 points, including several important goals near the end. With 3.9 seconds left to play, the score was tied. Jackson’s final goal put Baylor ahead 82-80. Arike Ogunbowale, who made the winning shot for Notre Dame in last year’s championship game, did not have the magic this time. With less than two seconds to go, she could have tied the game by making two free throws. Instead, she missed the first, and made the second, ending the game with the final score of 82-81. The last time Baylor won the NCAA was in their 2012 game, also against Notre Dame. This was the first NCAA championship game for Virginia and Texas Tech, and they both fought like it might be their last. 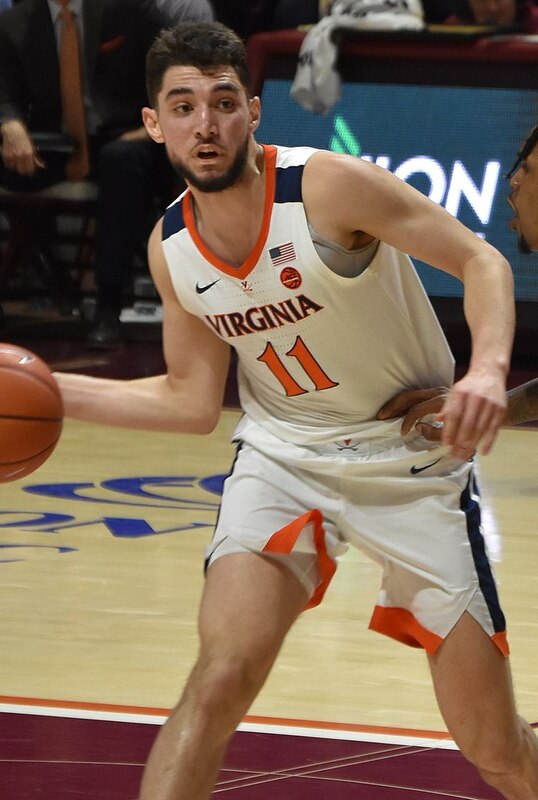 For Virginia, it was a chance to make up for last year’s embarrassment, when they were expected to win the NCAA, but lost their first game by 20 points. It took an overtime, but Virginia finally won, 85-77. Virginia led Texas 32-29 at the half. In the second half, Virginia’s lead grew to as much as 9 points. Tyler Jerome (above) finished the game with 16 points. Virginia led Texas 32-29 at the half. In the second half, Virginia’s lead grew to as much as 9 points. But Texas Tech refused to give up and slowly fought their way back, tying the game up with about three and a half minutes left. From that point on, the lead see-sawed back and forth. Every time one team got ahead, the other team tied things up again. Both teams made important free throws under pressure that helped them stay in the game. De’Andre Hunter was a key part of Virginia’s win. He scored 27 points, often when they were badly needed. Virginia posted these pictures on the internet. De’Andre Hunter, with his 27 points, was a key part of Virginia’s win. He scored a game-tying 3-pointer with 12.1 seconds left, forcing the game into overtime. 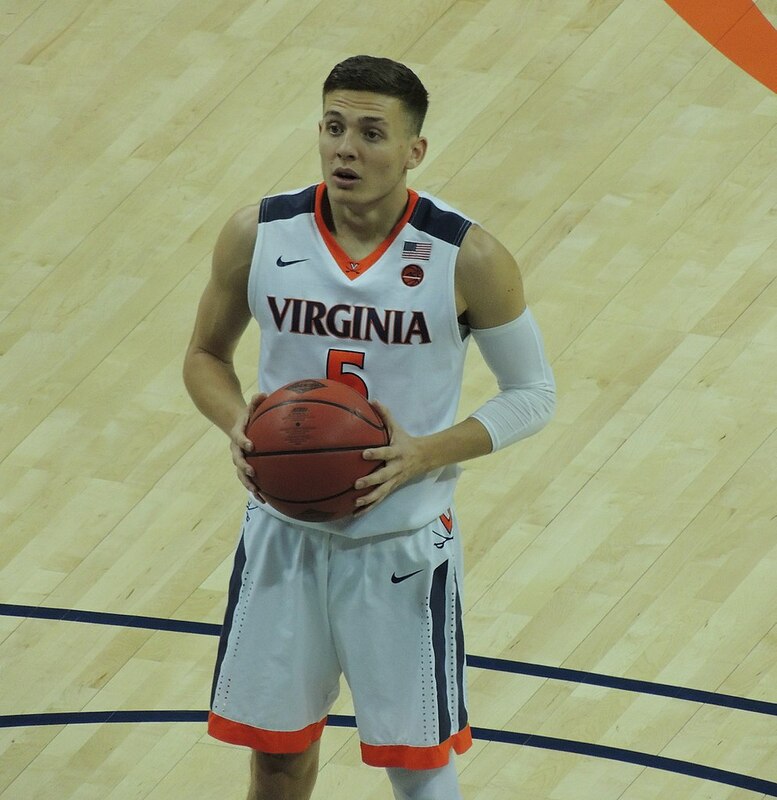 The contest continued to flip back and forth in overtime play until Virginia finally began to pull ahead after more free throws and another 3-pointer from Hunter. Virginia’s Kyle Guy, was another important player all through the game, scoring 24 points. Virginia’s Kyle Guy, was another important player all through the game, scoring 24 points. He was named Most Outstanding Player for the whole NCAA tournament. As the clock wound down, Virginia built up their lead. When the final buzzer rang, Virginia had locked up their first championship, 85-77. The women’s game was held in Tampa, Florida. The men’s game was played in Minneapolis, Minnesota. Mina Guli has run 62 marathons – one a day since early November. 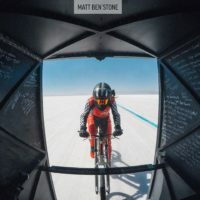 She planned to run 100 to focus attention on the world’s growing water problems, but now she’s broken her leg and can’t go on. 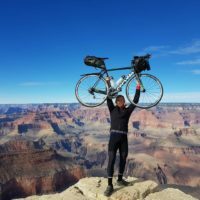 Today we’re looking at some amazing stories from the world of sports.